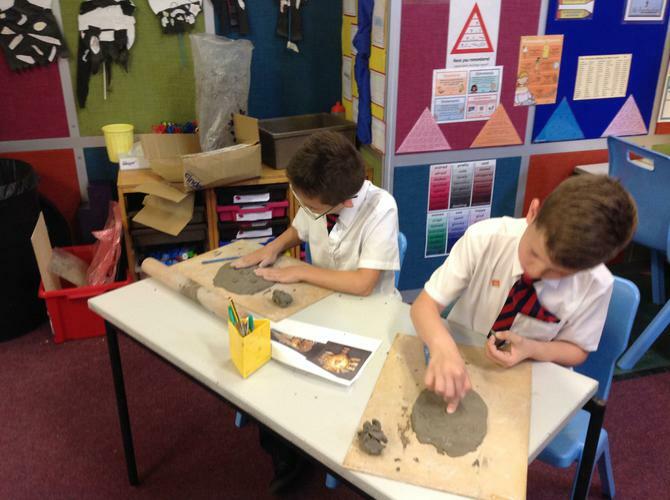 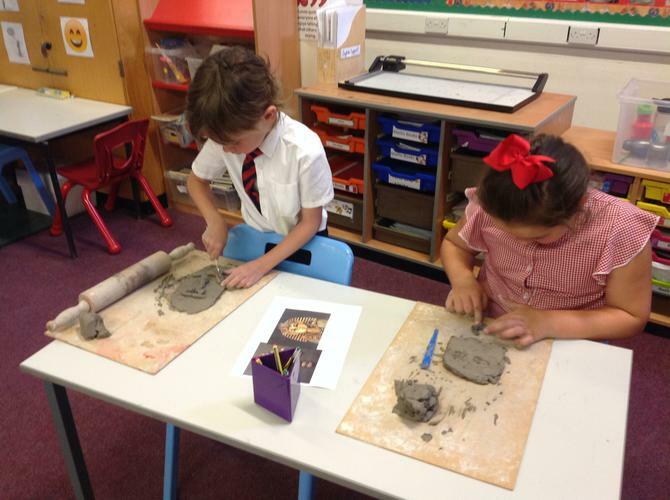 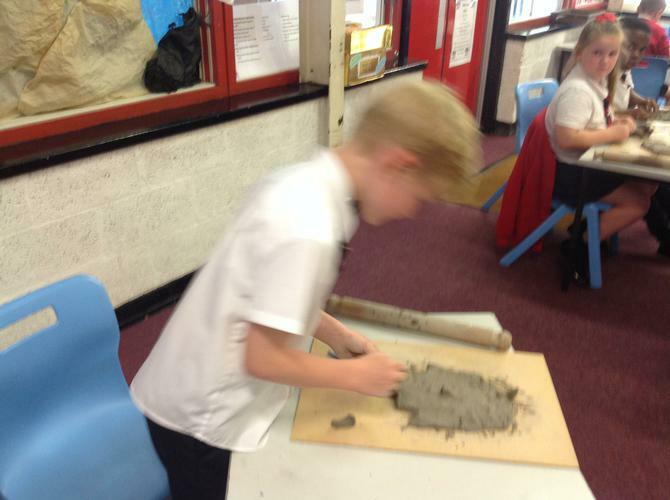 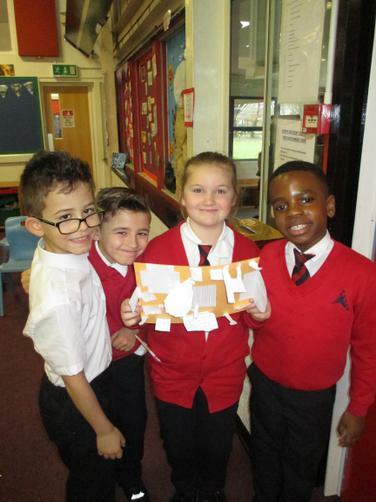 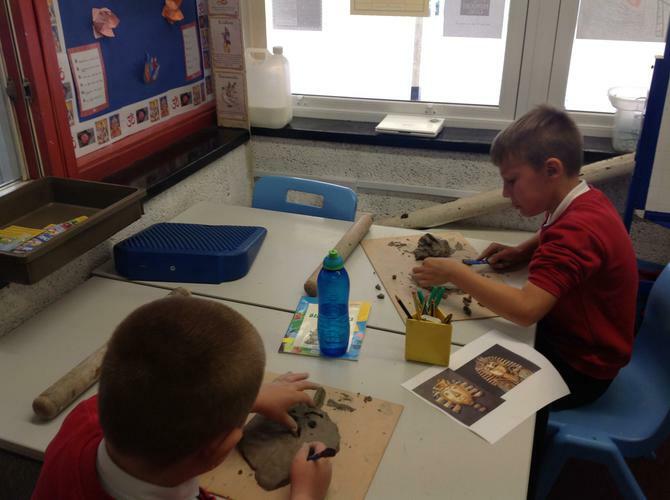 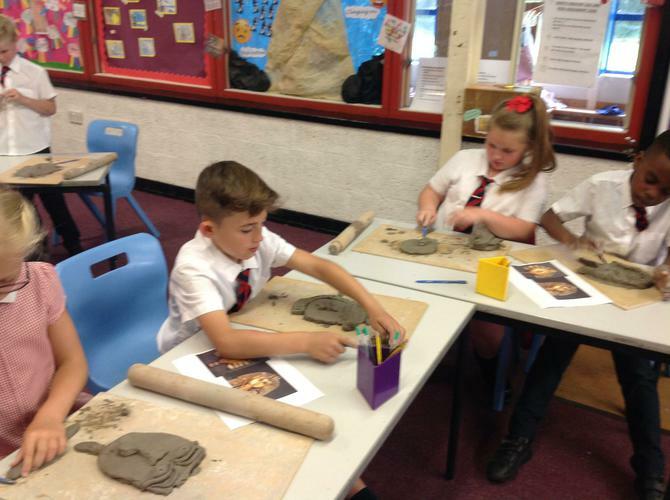 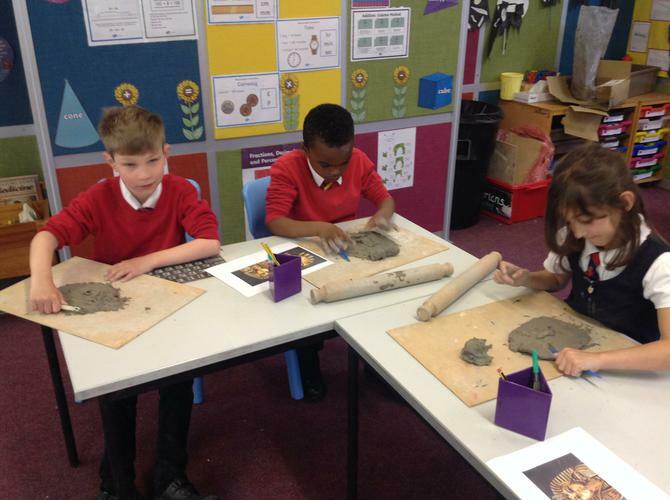 3T made clay masks, by rolling a shape and moulding features to create our own versions of the death mask of Tutankhamun. 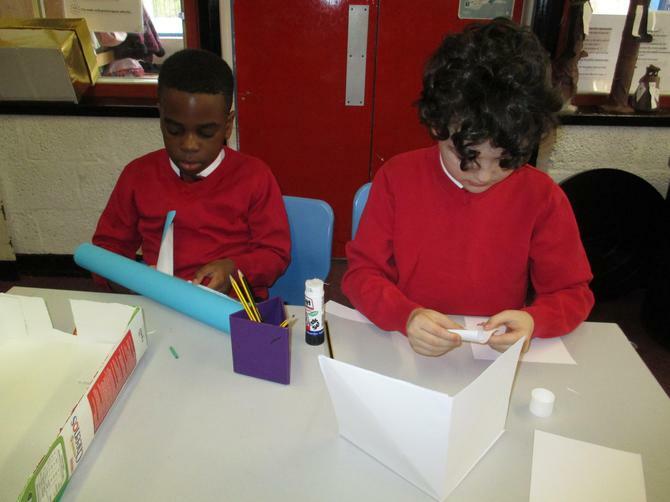 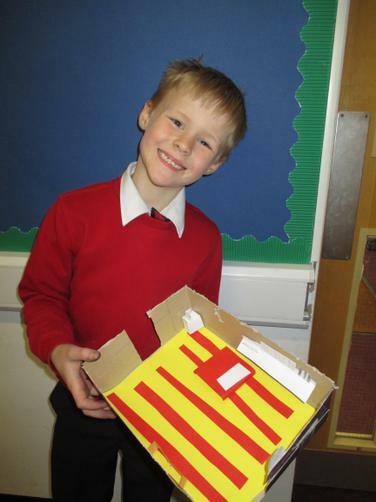 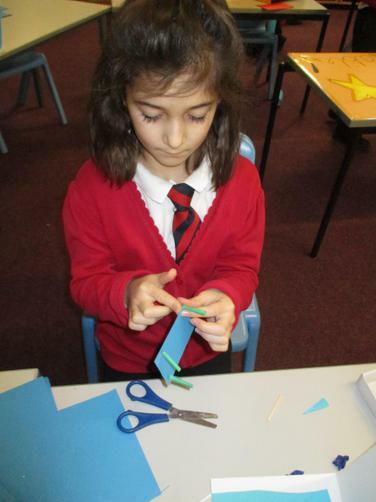 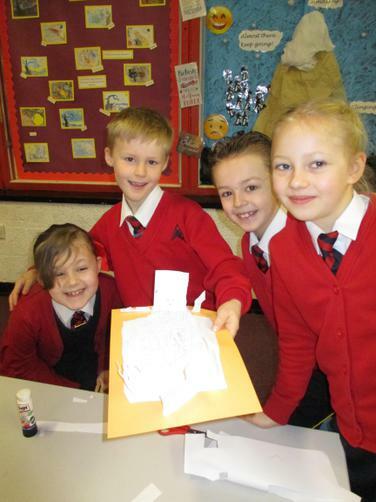 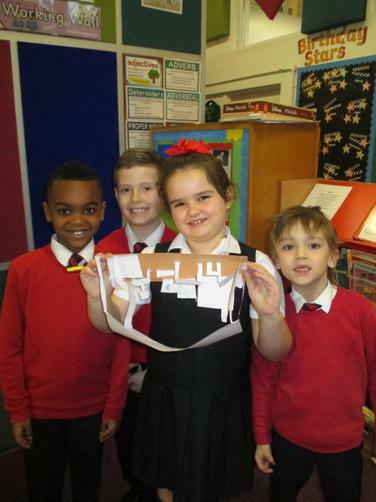 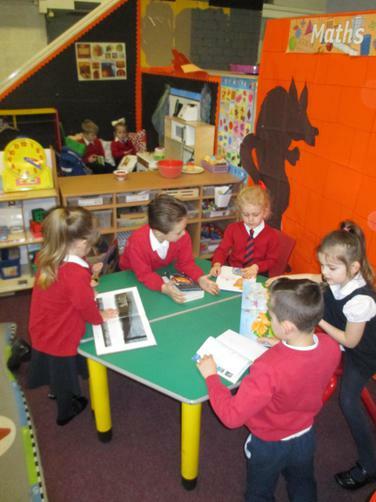 We are having a lot of fun learning new things in 3T. 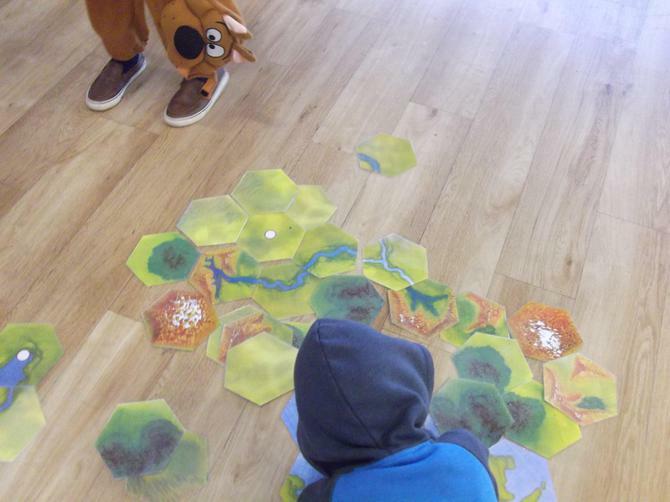 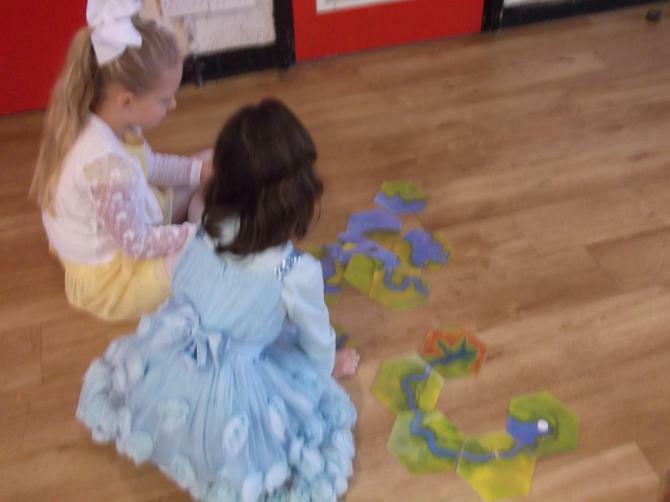 We had shapes on the floor. 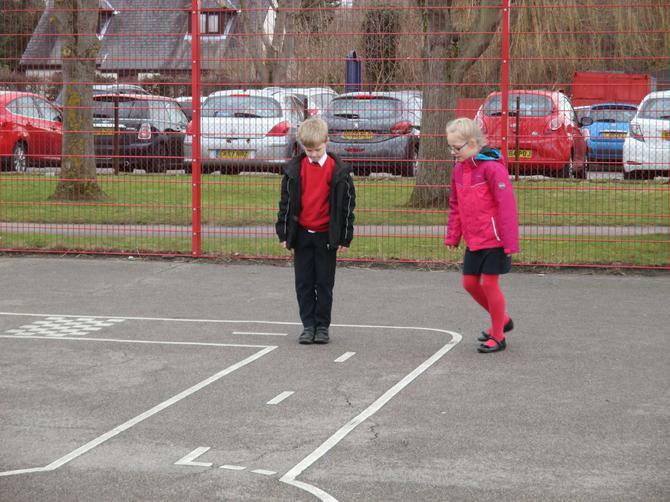 We had to work out the perimeter. 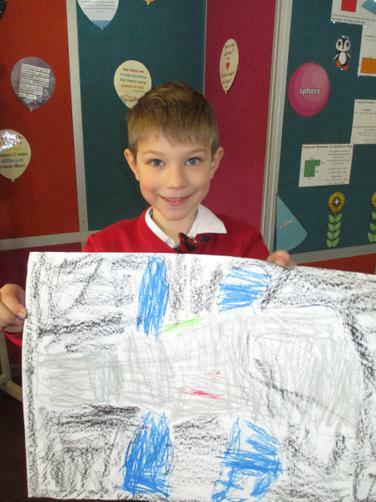 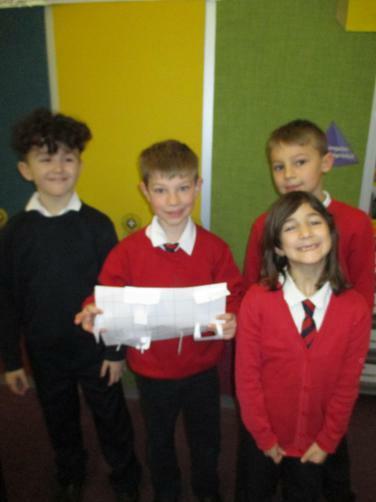 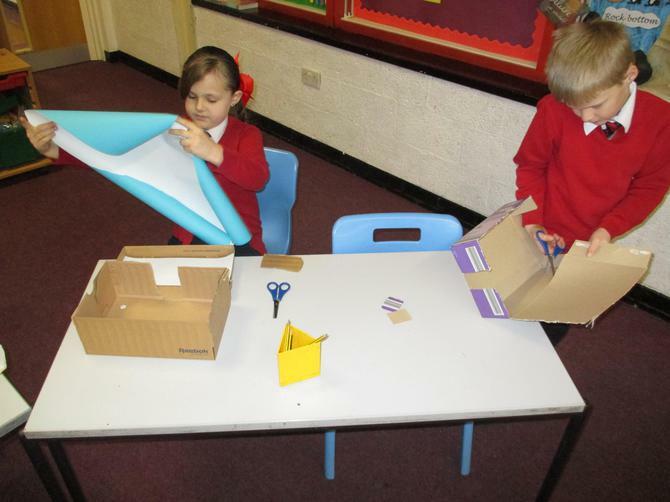 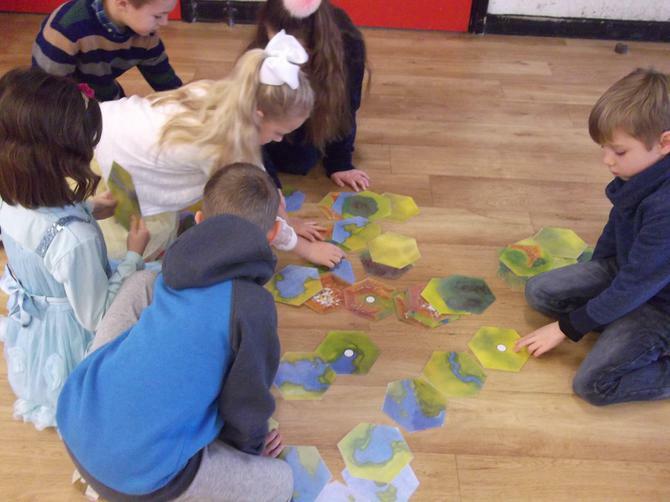 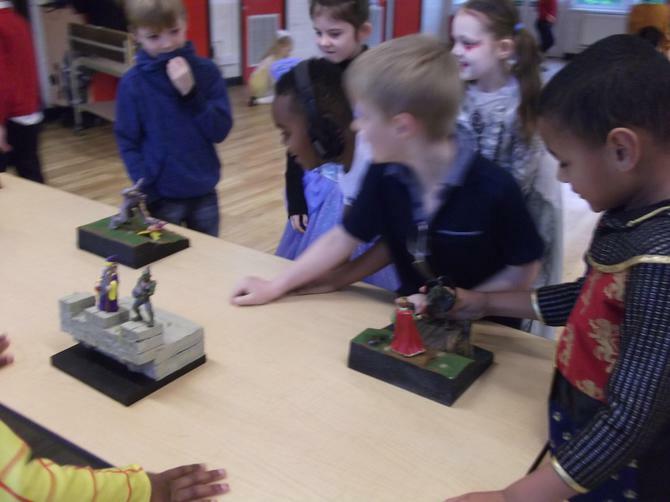 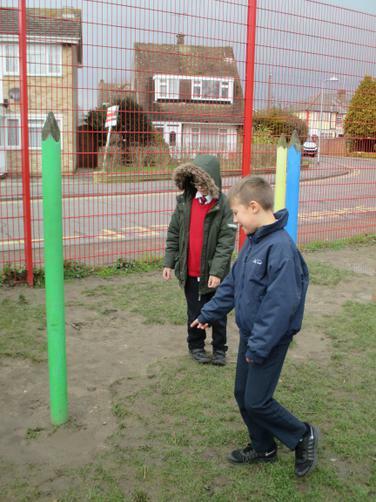 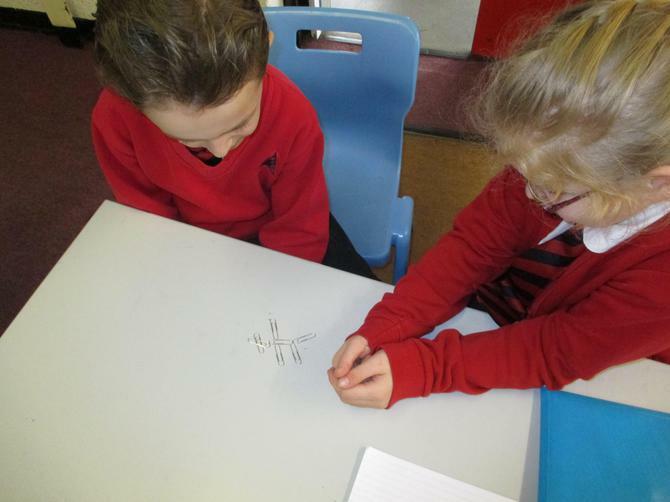 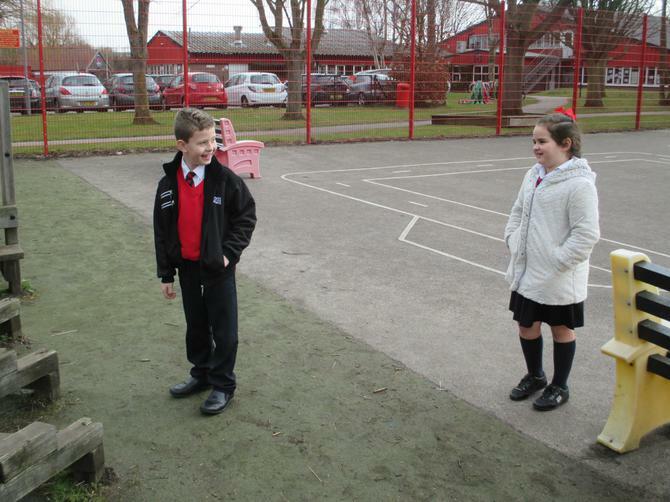 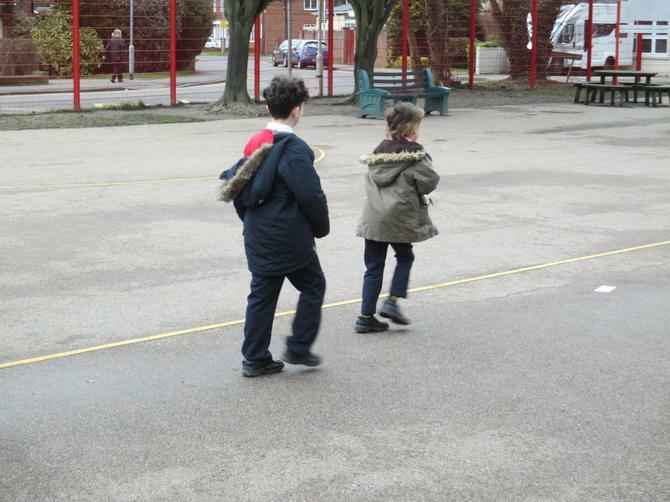 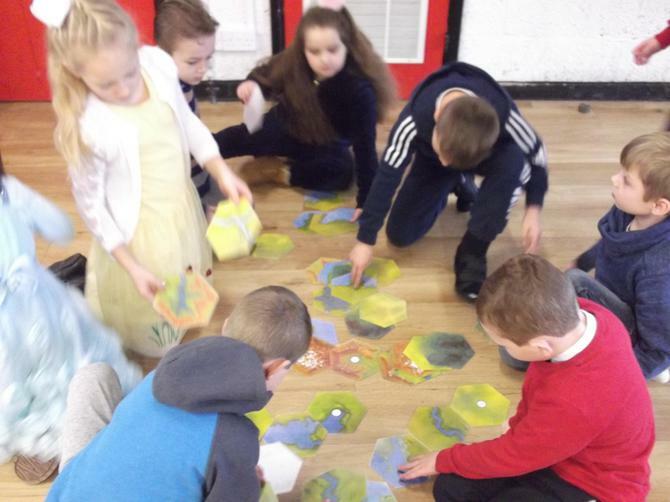 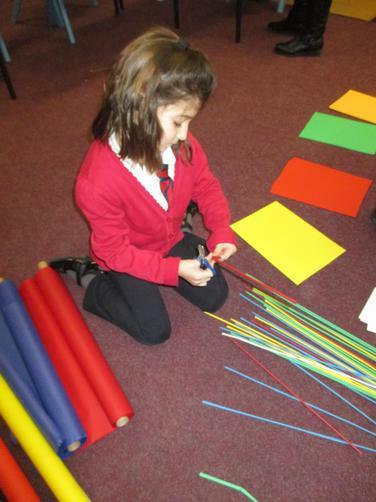 Children went around the school on a right angle hunt. 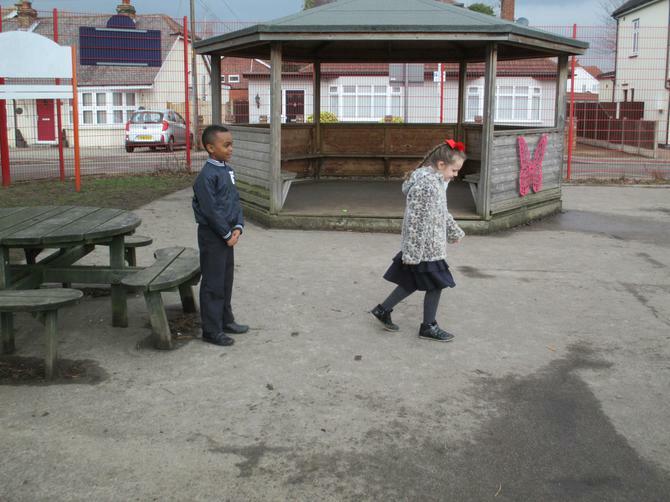 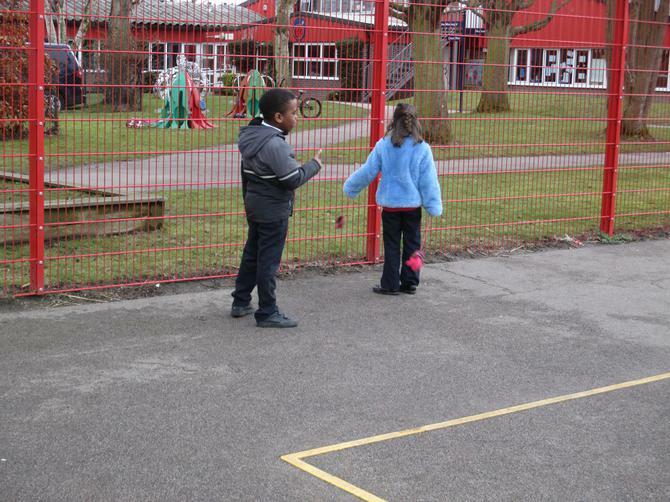 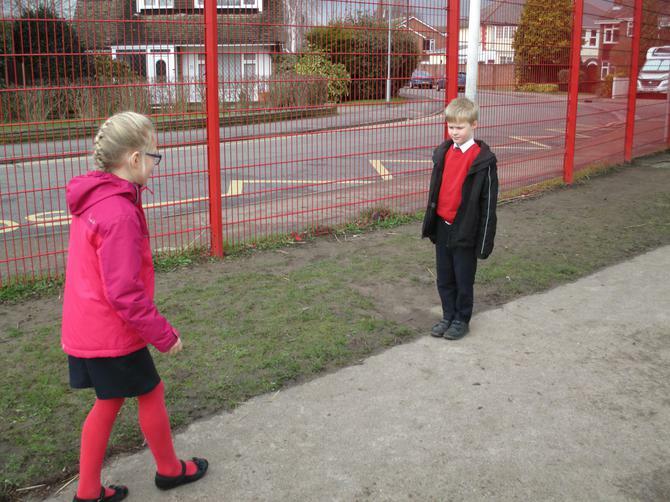 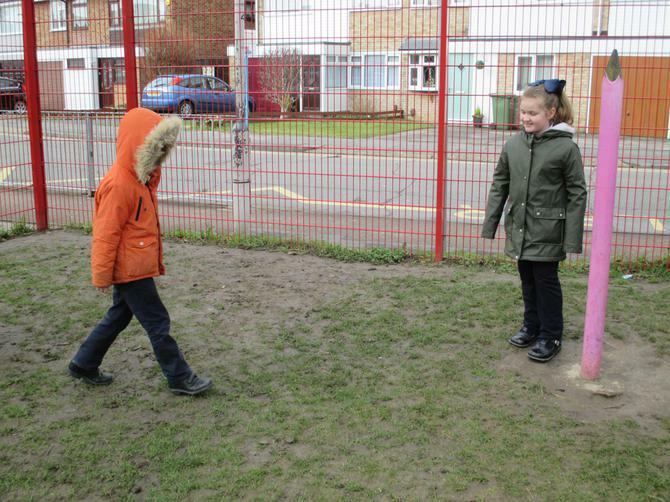 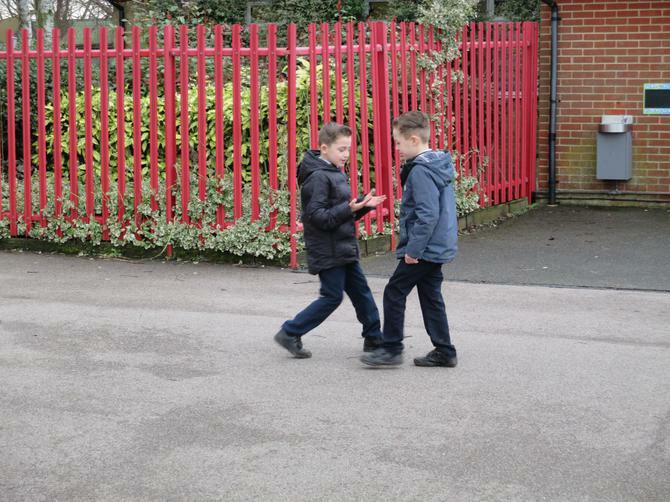 quarter turn to direct each other to areas on the playground. 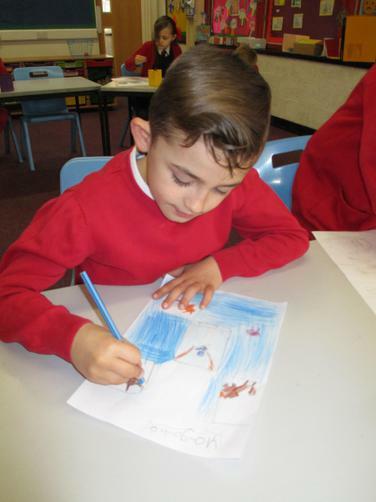 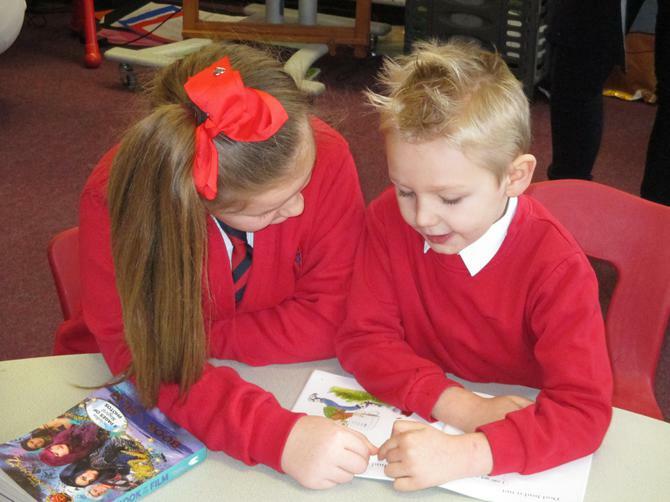 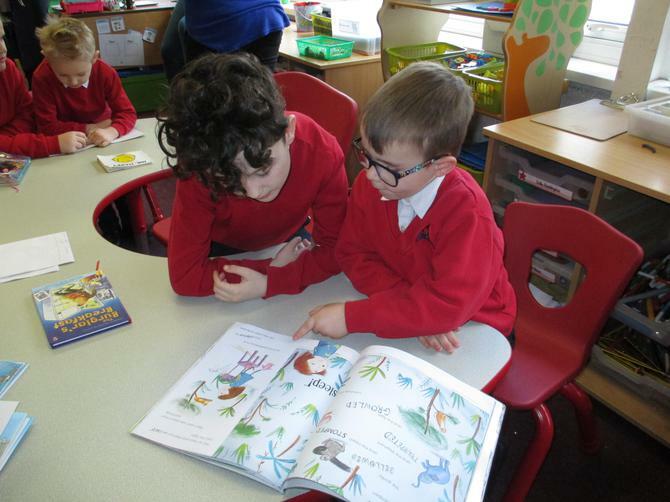 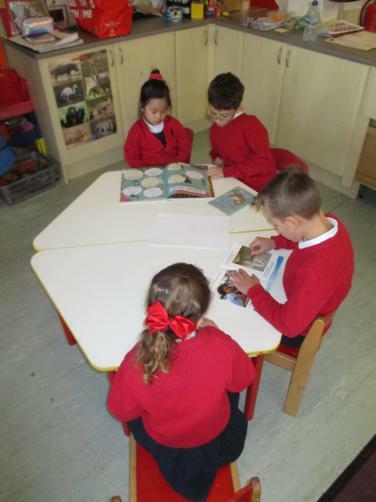 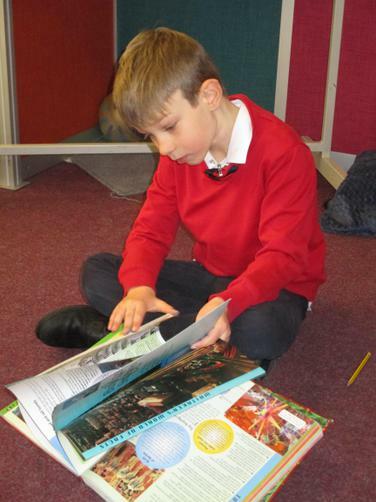 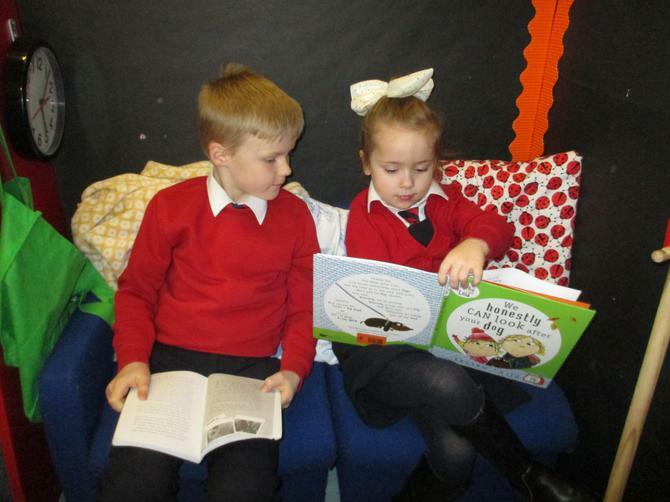 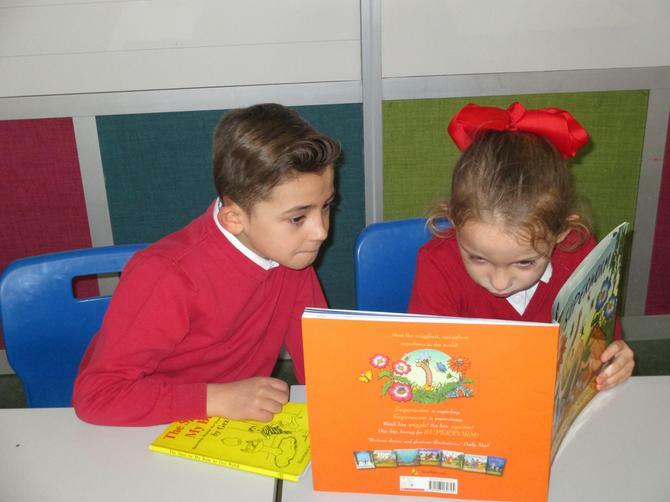 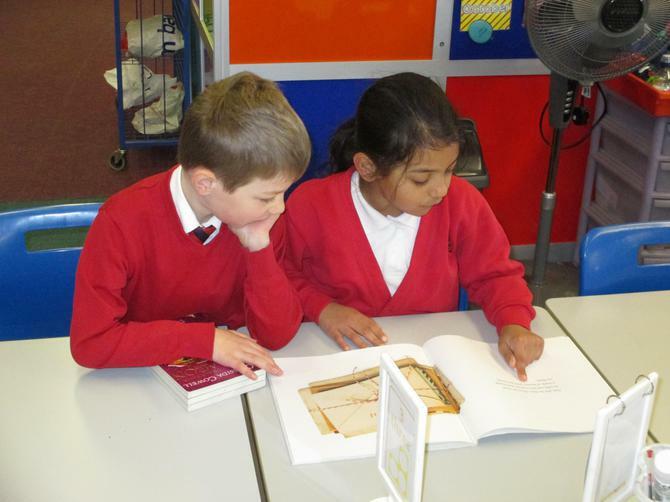 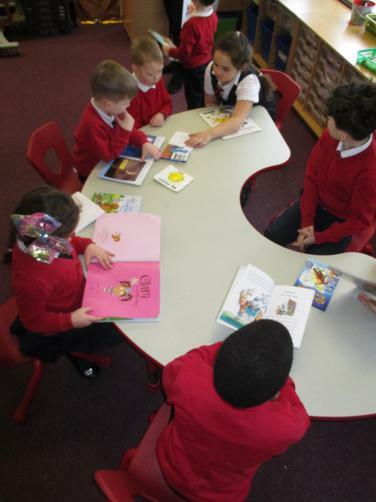 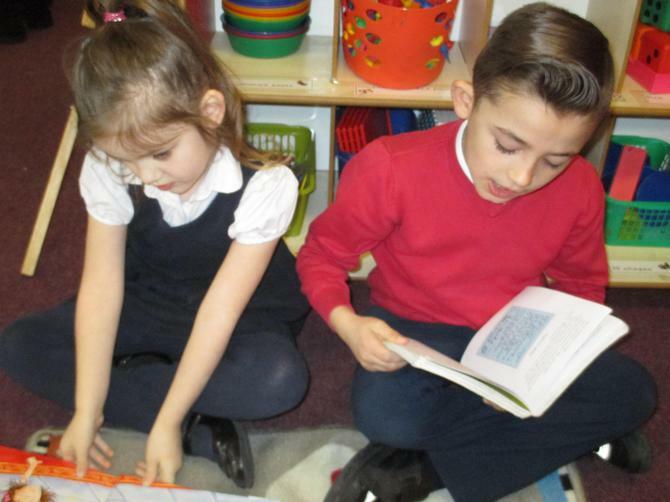 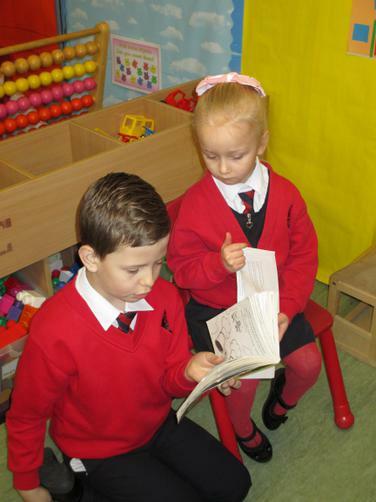 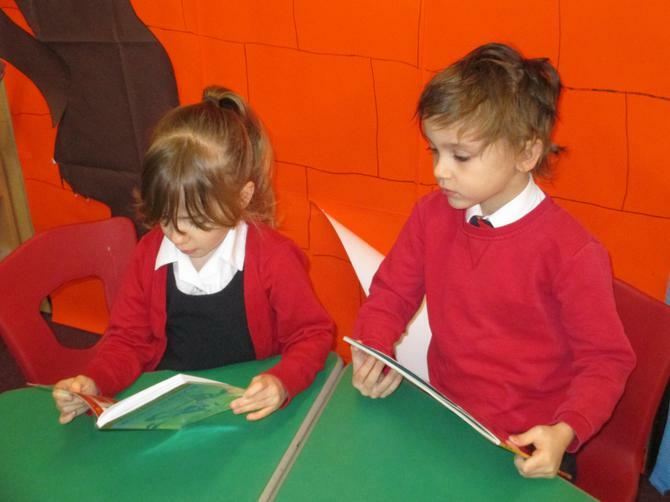 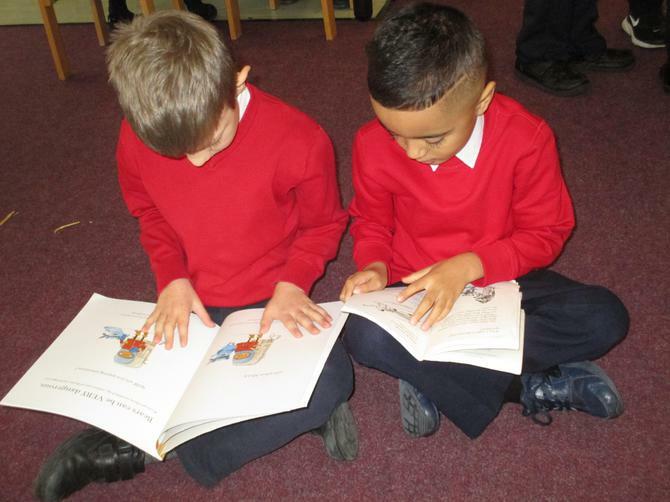 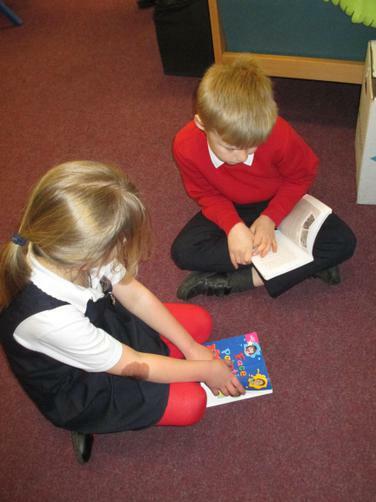 We shared our favourite books with other children from other classes. 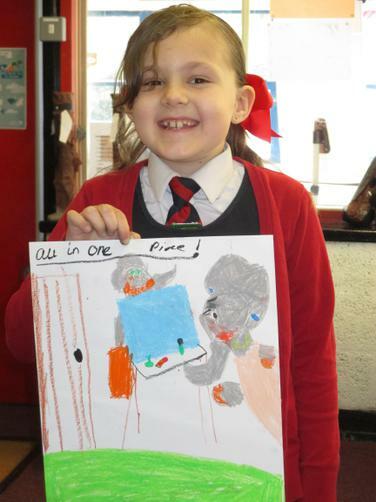 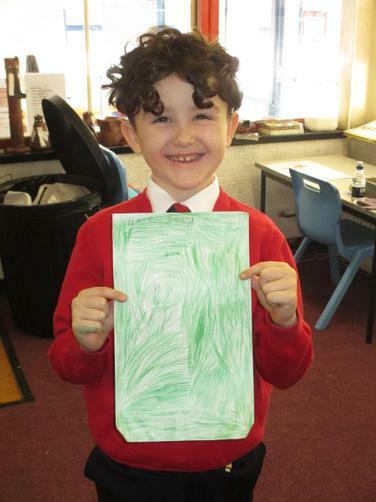 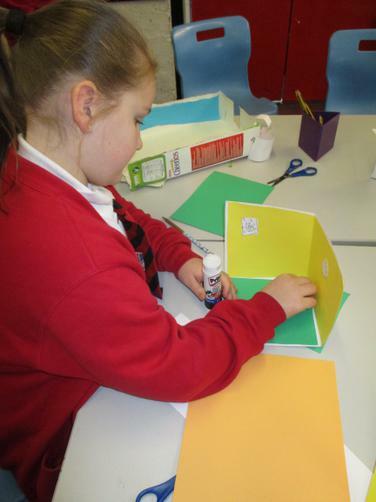 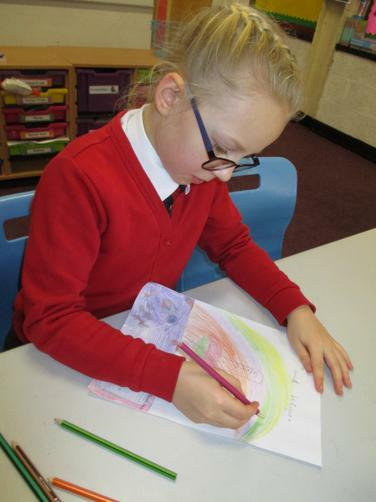 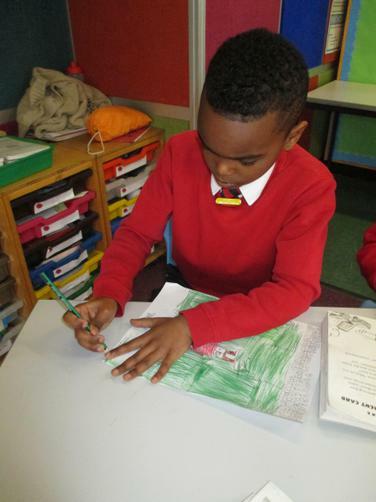 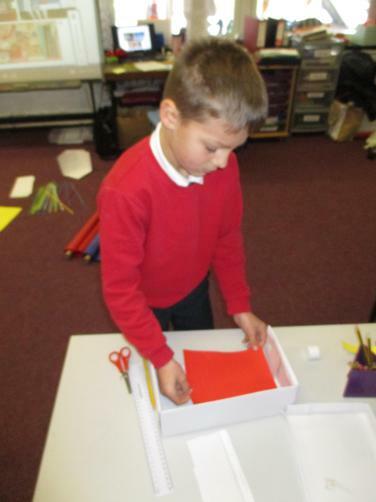 We created new book covers for our favourite books. 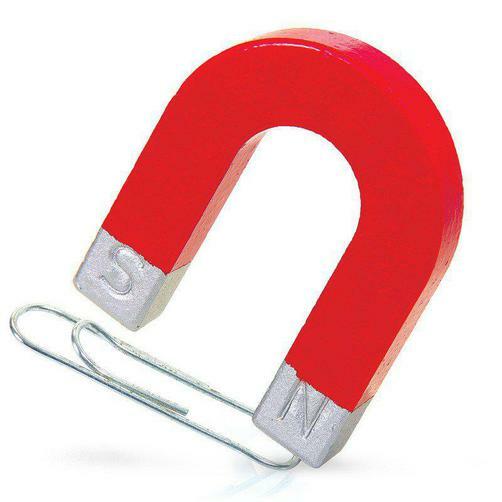 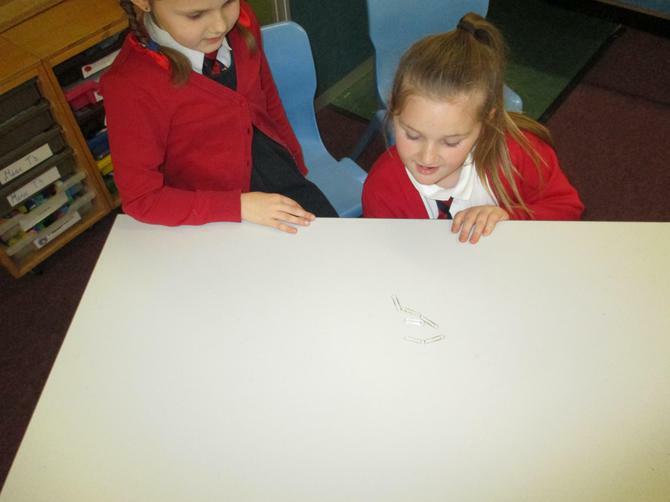 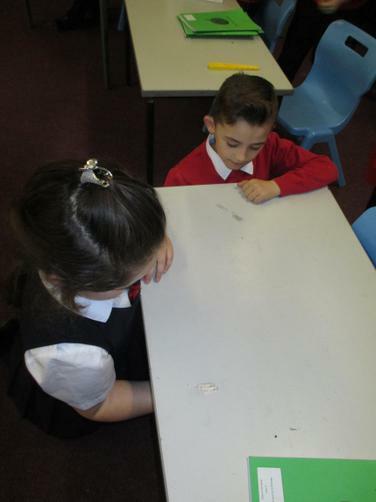 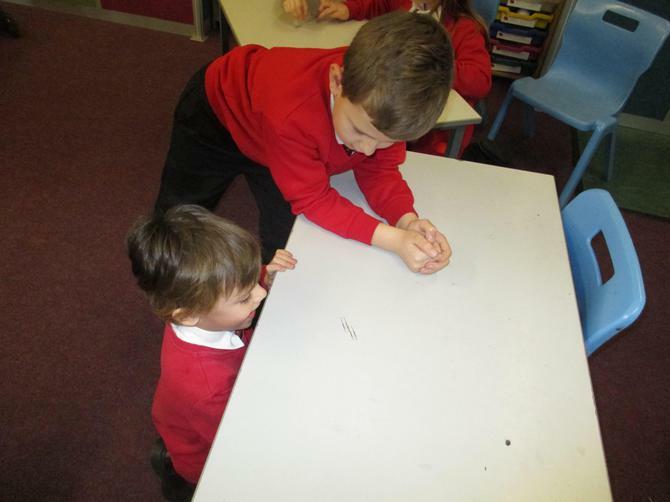 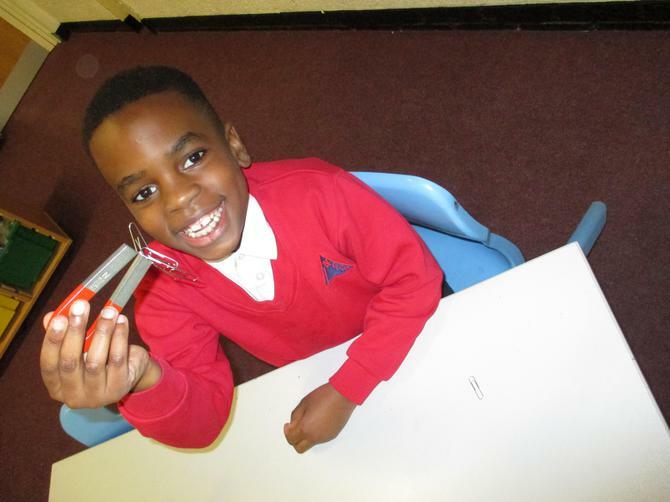 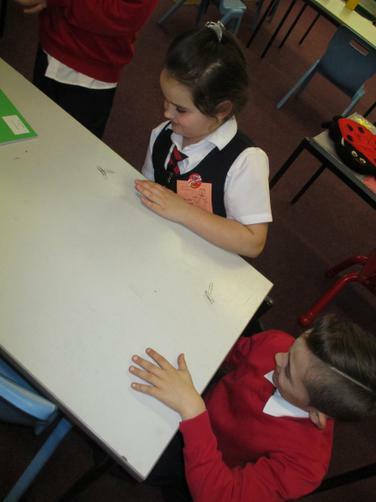 In Science we investigated magnets push and pull. 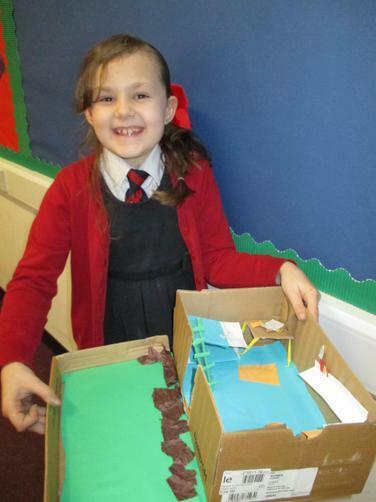 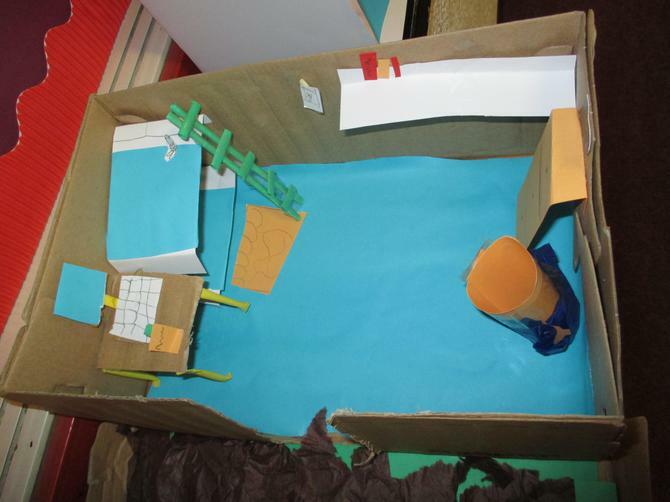 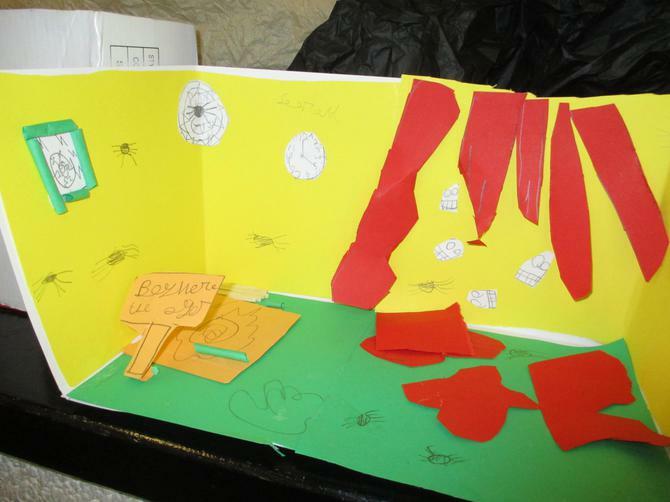 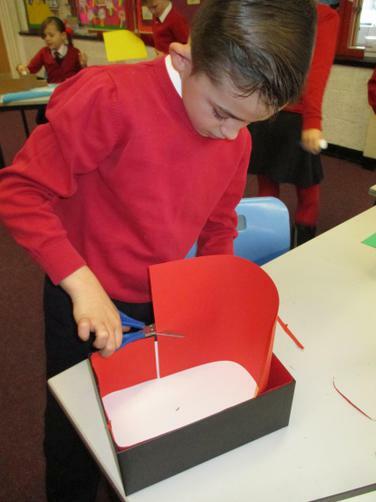 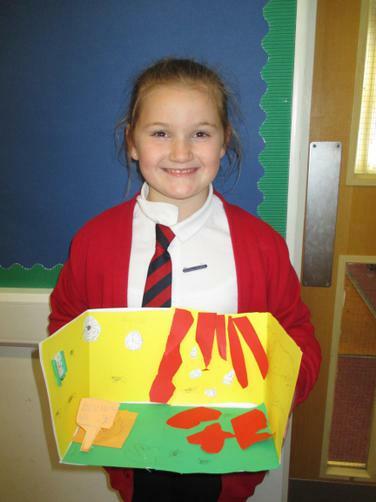 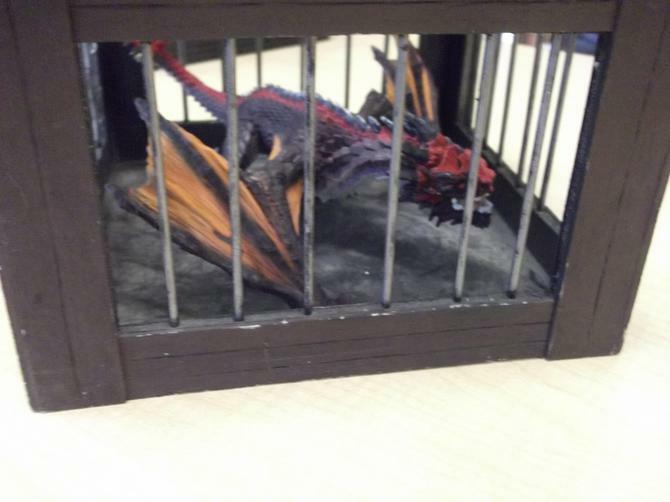 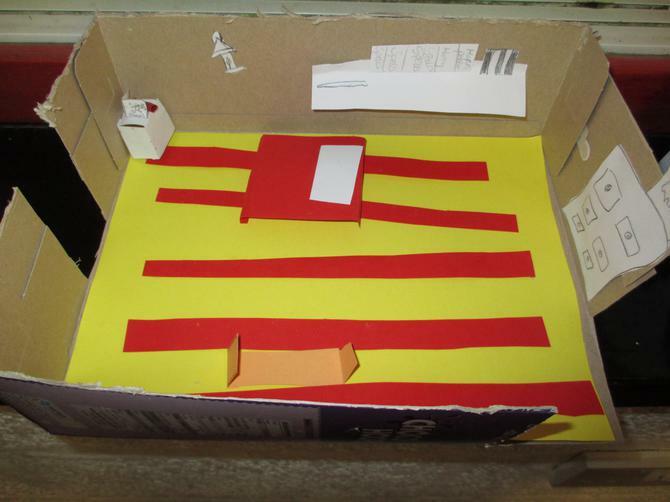 We created diorama's of The Twits upside down lounge and created a bedroom from a shoebox of our favourite book character. 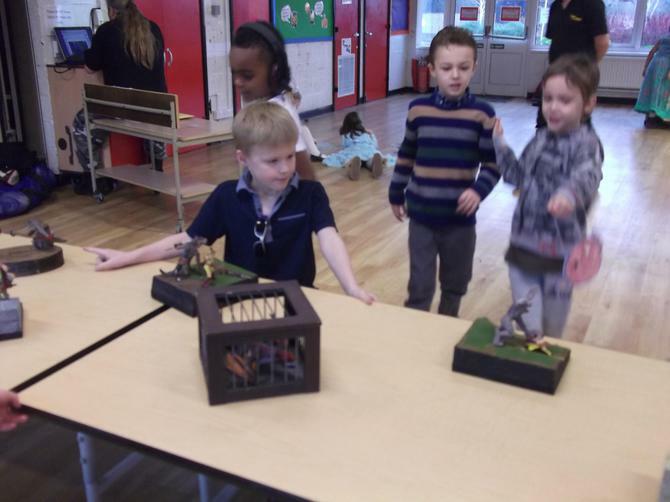 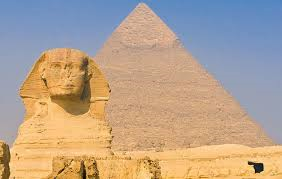 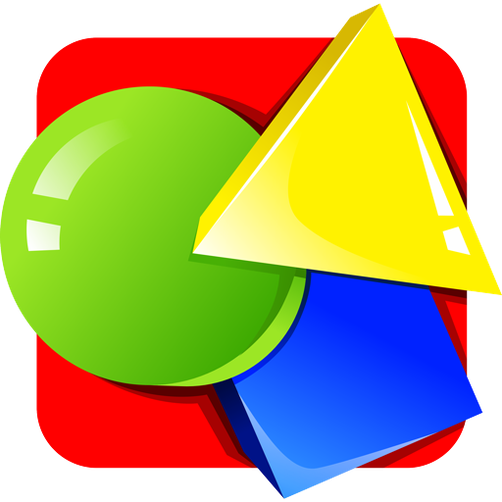 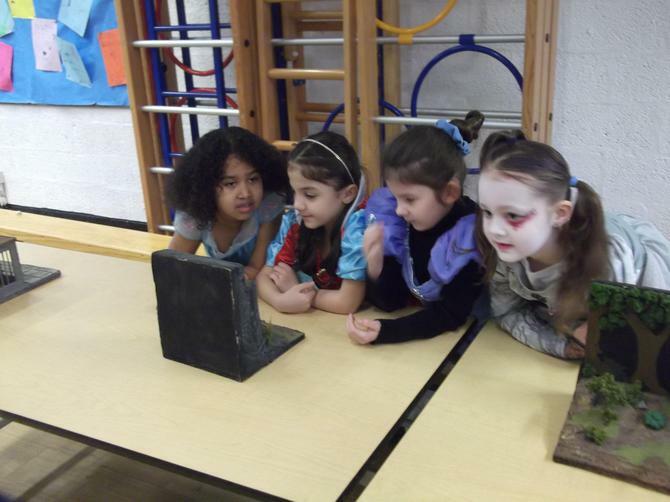 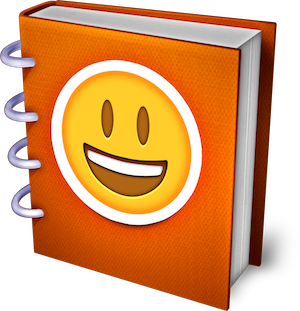 Click on links below for fun learning on a snowy day. 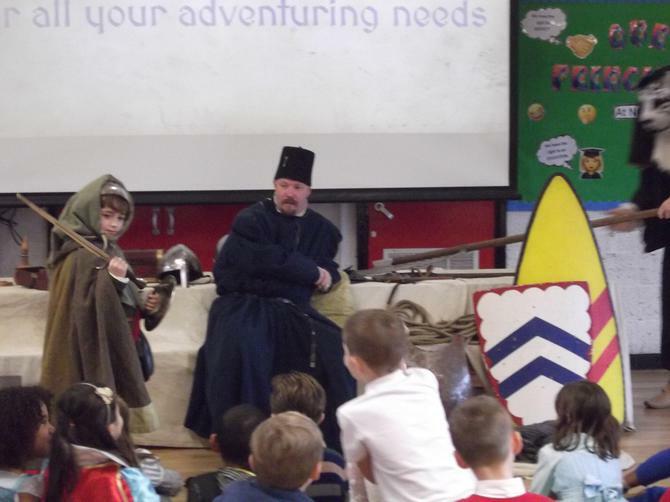 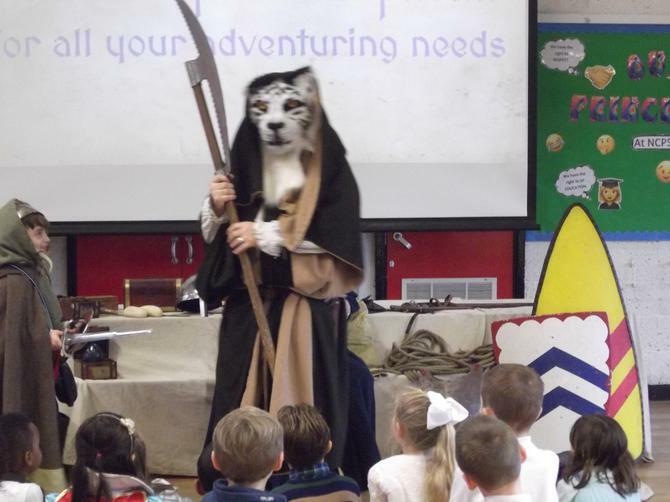 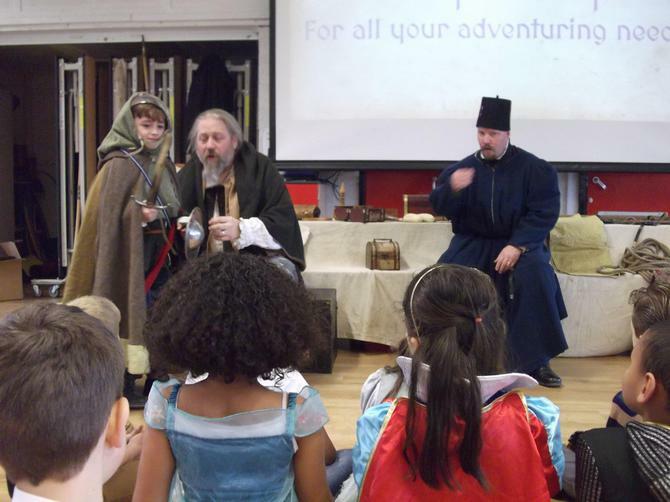 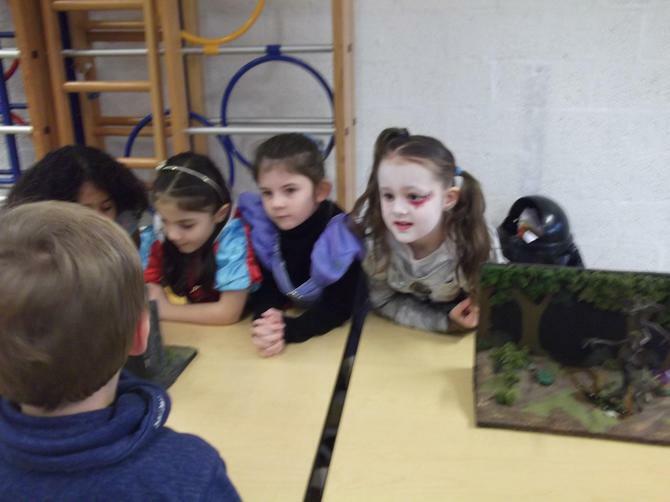 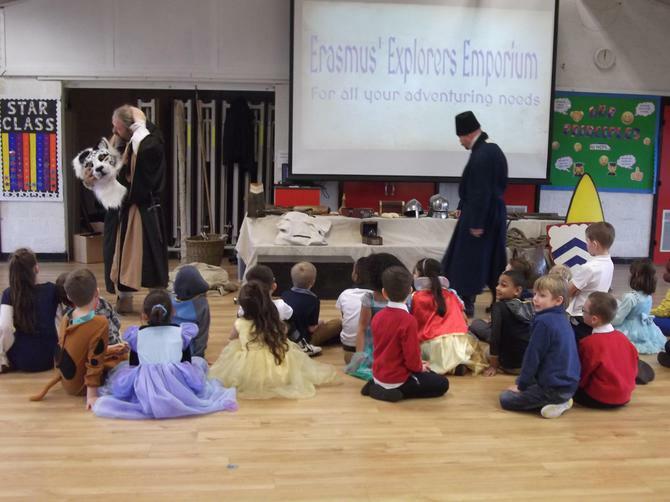 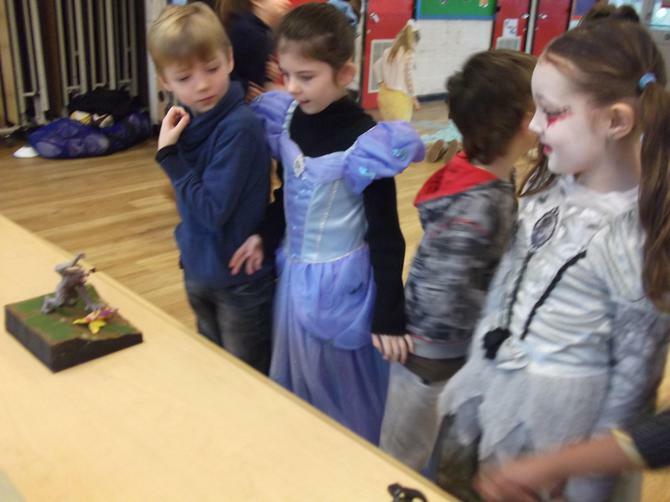 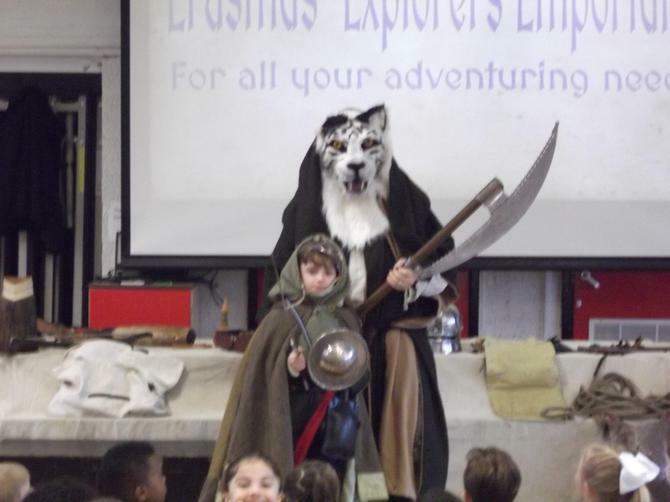 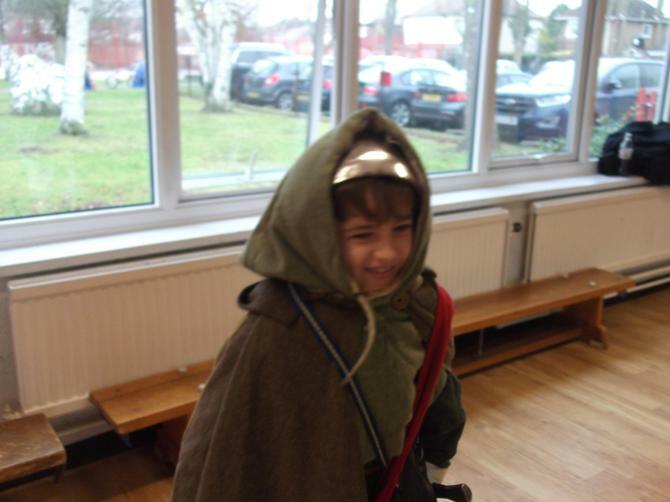 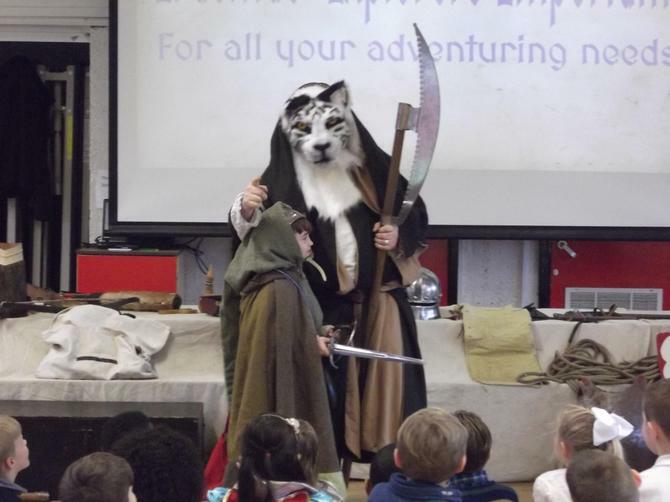 Class Three had lots of fun on Fantasy day, when we were visited by Tim and John who taught us lots about fantasy story writing. 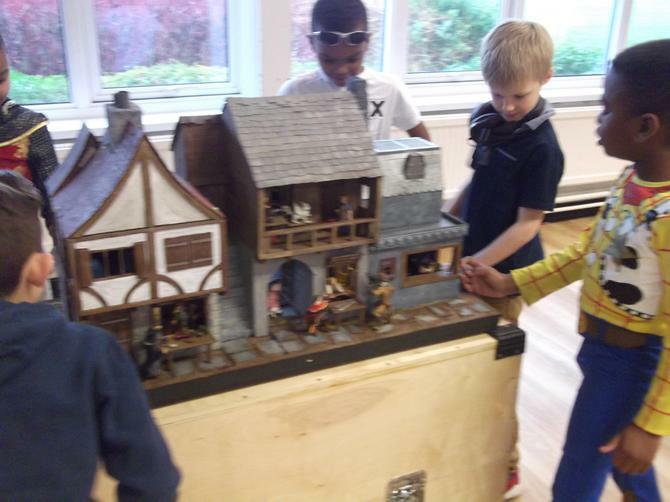 12-1-18 Lots of fun on Fantasy day!